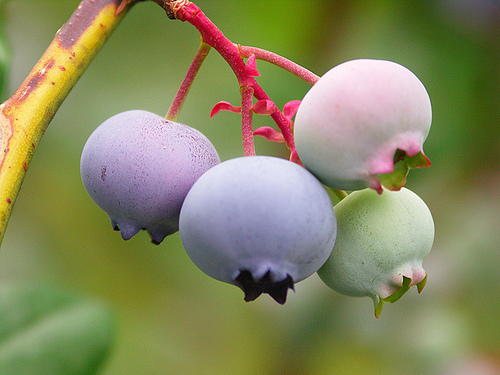 It's blueberry season and I can't wait to get baking with these juicy berries! Of course blueberries are delicious in muffins, coffee cakes and breads but baking heats up the kitchen in the heat of the summer. Here's a recipe that you can whip up in no time and have for a snack or light lunch! Combine all ingredients and allow to sit for an hour for flavors to marinate. Serve with tortilla chips or pita chips or add feta cheese and stuff into a pita pocket! *This recipe can be changed to whatever fruit or even veggies you have that's ripe and ready. Try it with diced peaches, tomatoes, pitted cherries, avocado....possibilities are endless!